Inlays and onlays are two dental restoration devices that are an alternative to dental fillings or dental crowns. They are also known as indirect fillings, as they offer a well-fitting, stronger, longer-lasting restorative solution to damage caused by tooth decay or similar damage. The restoration achieved by an inlay or onlay is both aesthetically and functionally beneficial. An inlay is when the restorative material is bonded within the center of a tooth. An onlay is when the restorative material is placed over one or more cusps (points) of the tooth or fully covers the biting surface of the tooth. An inlay or onlay procedure is normally completed in two dental visits. The dentist will prepare the damaged tooth during the first visit. A dental impression of the tooth is taken and sent to a dental laboratory, where the inlay or onlay is created from gold, porcelain or resin materials. A temporary restoration may be created and fitted onto the prepared tooth in the meantime, while the permanent restoration is made. During the second visit, the temporary restoration will be removed and the inlay or onlay will be placed. 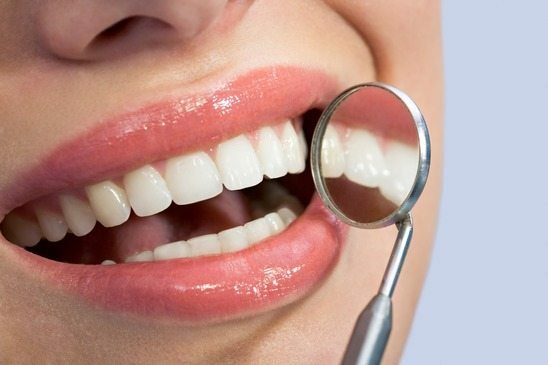 The dentist will ensure a smooth fit and check your bite to ensure that there are no problems affecting the margins of the restoration. Once fitted, the restoration is bonded onto the tooth and the margins are polished. An excellent alternative to crowns as it preserves as much healthy tooth as possible. Tooth colored resin inlays and onlays are aesthetically pleasing and do not easily discolor. Restores decayed or damaged areas. Superior fit ensures easy tooth cleaning. Better at sealing cavities between teeth to keep out bacteria than normal fillings. Made of durable materials to strengthen the damaged tooth. Protects the weak areas of the tooth.